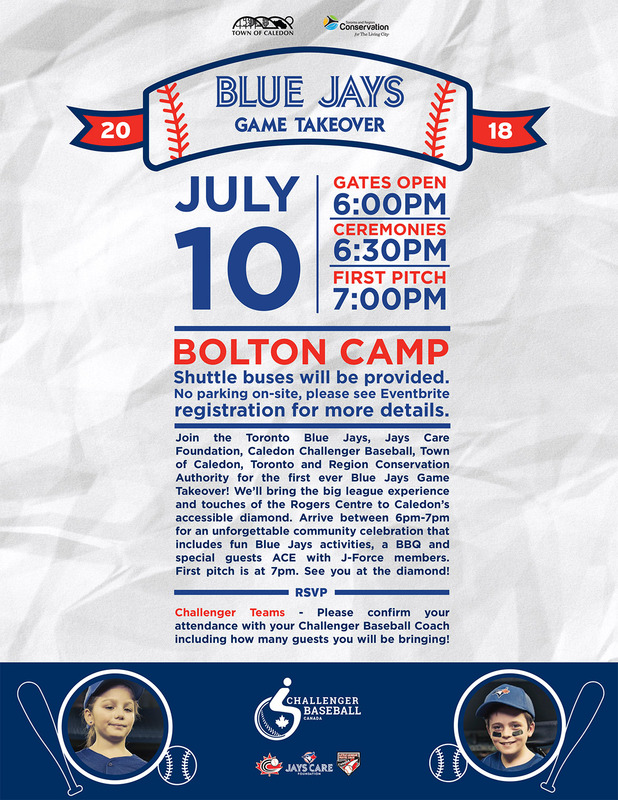 On July 10, The Caledon Challenger Program, Bolton Braves Baseball Association, Jays Care Foundation, Town of Caledon and Toronto and Region Conservation Authority (TRCA) will formally open the Challenger Baseball Diamond at Bolton Camp: an accessible facility specifically designed to meet the needs of youngsters with disabilities. The opening of this accessible baseball diamond represents a significant first step in TRCA’s redevelopment of Bolton Camp into a vital and vibrant community commons that provides a range of interesting and engaging programs and services for residents from across the Toronto region. The new facility will serve as a home in Caledon for the Challenger Baseball team. Challenger Baseball is a program that provides an opportunity for children and youth with cognitive and/or physical disabilities to enjoy the full benefits of participating in baseball at a level structured to their abilities. Accessible baseball diamonds opened last year in Vancouver and Moncton, and City of Toronto has announced plans to open another in Scarborough. Accessible facilities like these typically include a number of features designed to allow young people with disabilities to play, such as wheelchair-friendly surfaces and dugouts. Members of the public are invited to come join in the celebration on July 10. To learn more and register, please click on the poster below.